US President-elect Donald Trump is right to call on Europeans to spend more on defence, NATO Secretary General Jens Stoltenberg said on Friday. Stoltenberg made his remarks in an interview with euronews at an event organised by the German Marshall Fund of the United States in Brussels. Trump called the 70-year-old alliance “obsolete” during his election campaign and said the US might only stand by the principle of collective defence if those members who had been attacked had paid their NATO dues. It left some members from eastern Europe and the Baltic states worried that the United States would not intervene if they were attacked. Below is an excerpt from that interview with the head of NATO. euronews: NATO Secretary General Jens Stoltenberg, thanks for being with us. I have to begin by asking you really, of course, after the election victory of Donald Trump. What’s the mood like at NATO headquarters? I can’t imagine that the Baltic ambassadors are high-fiving each other at the moment. NATO SG Jens Stoltenberg: We are all looking forward to working with President-elect Donald Trump and I am looking forward to hosting him and welcoming him to the NATO summit here in Brussels next year. And I am absolutely confident that President-Elect Donald Trump will be committed to and will maintain the American strong commitment to NATO and to European security. euronews: And do your Baltic members share that confidence? I’m surprised that you are so confident given the remarks that he has made over the past few months about the alliance that you lead, he’s called it ‘obsolete’. That’s new territory. Stoltenberg: Well, President-elect Donald Trump also said that he was a big fan of NATO and his main message was on defence spending, burden sharing, between Europe and the United States. And there I absolutely agree with him. WE need a more balanced burden sharing between the united states and Europe. It’s not viable in the long run that the United States pays 70 percent of the total defence spending of NATO. And therefore my main message – my top priority since I took over as Secretary General in 2014 has been to make sure that European allies increase their defence spending. euronews: I understand that what I am trying to draw upon is where you get this confidence from. Everybody in Brussels and Washington has no idea what Mr. Trump’s foreign policy is going to look like. Yet you seem quite relaxed about this – that Mr. Trump can call into question the NATO alliance and you think everything is going to be fine and rosy once he takes office. 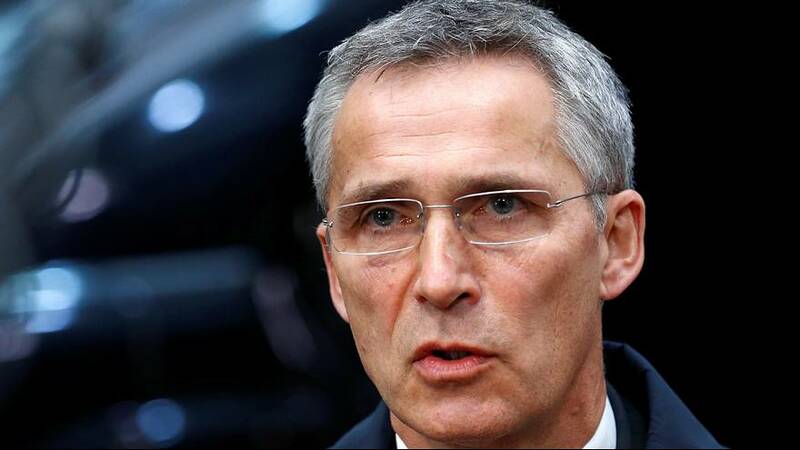 Stoltenberg: I am confident for several reasons. Partly because this is really in the interest of the United States and we have seen that over seven decades that European allies are the closest friends of the United States. We are the best friends of America. Second, Europe has stood up America and the United States in many different operations and coalitions. In Afghanistan but also all European NATO allies are contributing fighting against ISIL; NATO provides supports. And the two World Wars also taught us that stability in Europe is important for the United States. euronews: Have you spoken to President-elect Trump yet? Do you plan to? Stoltenberg: I expect to speak to him very soon. My team is in contact with his transition team and I am looking forward to talking with him. Then I will welcome him to Brussels to the NATO summit, which will take place next year, and I of course look forward to working President-elect Donald Trump on the wide range of issues, which are facing NATO. We have to strengthen collective defence, but we also have to project stability, fight terrorism, and also stabilise our neighbourhood as we do in Afghanistan or in the support of the coalition fighting ISIL in Iraq or Syria.